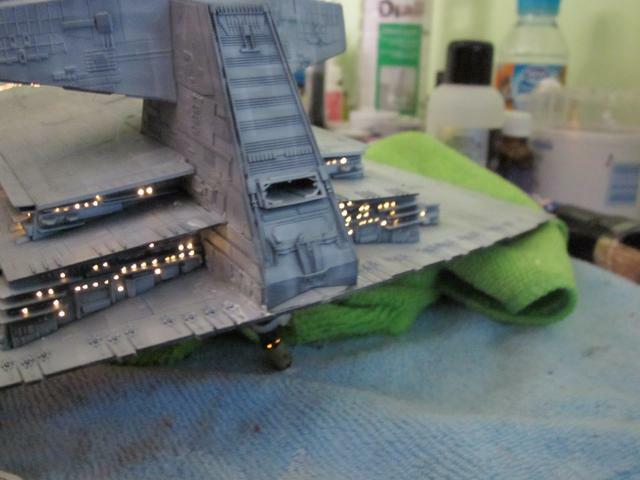 Might be a bit of a daft one here one here but my WIP thread for the Star Destroyer now takes up the entire page and some and it is really annoying me having to scroll along to the right to read any comments in full. All my other threads seem to be OK and this has only just started recently as the rest of the post all the pics/entries are "normal" sized so any help would be appreciated. Have I altered a setting or something? In your post, the URL link is: https://i.imgur.com/ckQADaT.jpg. It appears as a 1600 x 1200 picture with a 4:3 aspect ratio. However if you add an 'l' after the 'T' in the file name so that it looks like this: https://i.imgur.com/ckQADaTl.jpg, it then appears as a 640 x 480 picture with the original 4:3 aspect ratio kept. This way, you don't have to manually resize your images before you upload to Imgur. Just upload your full resolution images and let Imgur resize for you on the fly with their thumbnail suffix presets.